It’s Monday, the start of a new week. With GamesCom now behind us, the news has somewhat slowed here as we crawl our way into the fall rush of games. What better time than now to make some wild and crazy predictions. Since they tend to be an easy target, lets have a look at Nintendo. Granted we’re just a little over halfway in the current year, but what the hell, it’s never to early to look to the future, right? Let’s start this adventure off with something virtually unheard of for one of Nintendo’s biggest franchises. The next Legend of Zelda game will fully embrace DLC, following in the footsteps of Mario Kart 8 and Hyrule Warriors. A Definitive Edition will launch with the Nintendo NX console later on. This one seems like a no brainer considering how well DLC has sold for Mario Kart 8. The bundles, the prices, everything was on point. Adding DLC to a game like Zelda is a bit tough, but I could see Nintendo adding new content like standalone temples to explore, or even an expansion adding a small storyline or additional challenges. There’s definitely opportunity and Nintendo appears poised to continue their recent DLC trend. Nintendo will finally announce a new Metroid game in 2016. Considering this year marks Samus Aran’s 29th birthday, simple math tells me that next year will be her 30th. In most cases, this is a pretty large milestone, so what better way to usher this badass back into the public eye than a new Year of Samus! Seriously though, I’d be happy with an updated/remastered Super Metroid. Hey, if Mario gets a badass pixel amiibo, just imagine what Nintendo could do with a classic Samus figure amiibo. I’ve got tons of Metroid ideas Nintendo, call me! Nintendo NX is indeed the next console from Nintendo, effective replacing the WiiU. Development actually started a couple years ago. While the public still doesn’t have a great idea of just what the NX is, I wouldn’t be surprised to hear that it’s the WiiU successor. In fact, I’m expecting it. There’s no denying that the WiiU just isn’t doing it. With a year headstart on the other two consoles, the WiiU has been outpaced and left in the dust. With a scarce amount of software coming down the pipeline, it’s very easy to assume that Nintendo has moved on. The Nintendo NX releases Holiday 2016 and features hardware that’s more than competitive with the Xbox One and PS4. Oh, and it also has a decent online service. If there’s one thing I can safely say, it’s that the overnight success of the online focused Splatoon has opened Nintendo’s eyes. They’re proven that, outside of a few blemishes, Nintendo is capable of creating a well made online multiplayer focused game. I can totally see them exploring this road further with the new console. And, if we’re continuing the theory I presented in prediction 3, then is it really out of the realm of possibility that Nintendo could have this thing on the shelves by the end of 2016? What a surprise that would be, right? Plus, with added time to examine the competition, don’t be surprised to see some of the more popular features on those systems worked into the new Nintendo one. 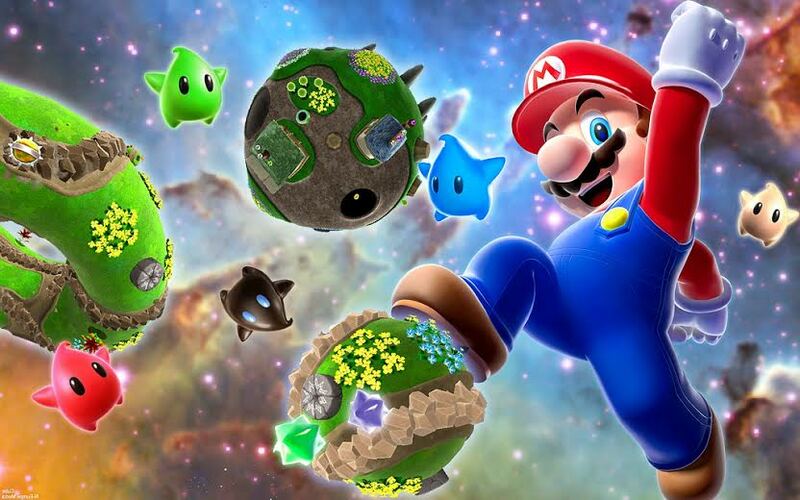 Super Mario Galaxy 3 headlines the launch lineup for the Nintendo NX. It goes without saying that some sort of Mario title will be available on launch day for any new Nintendo console. In fact, the last true Mario title came back in 2014 with Super Mario 3D World. So what has the Mario team been up to? Why not start development work on a brand new entry in the extremely popular Galaxy series? With new hardware to work on, just think at the potential possibilities the team could be utilizing. So there you go, my five off the cuff predictions for Nintendo. Will they be right or will I be left looking like a fool. Only time will tell. Have any predictions of your own? Let me know what you’re thinking in the comments below. This entry was posted in Feature, Opinion and tagged Feature, games, Nintendo, Opinion, WiiU. Bookmark the permalink. I really hope prediction #2 is true, with added hope that it comes out next year too…and is a new Metroid Prime game. I mean, 30 years is a big deal. I’d find it super disappointing if they ignored that.